Step 1 Heat the oven to 350 degrees. In a large, heavy sauté pan, melt the butter over medium heat until foamy. Add the carrots (this can be done in batches if necessary), and season with salt to taste. Very slowly cook the carrots, shaking the pan often, until the butter solids start to brown and the butter coats the carrots, and the carrots begin to color, about 45 minutes. Remove the carrots to a rimmed baking sheet and continue to roast until tender, about 30 minutes, depending on the carrots’ size. In Recipes-list.com we have selected the most viewed recipes from category - Sides . Enjoy the best recipes specially selected for you! 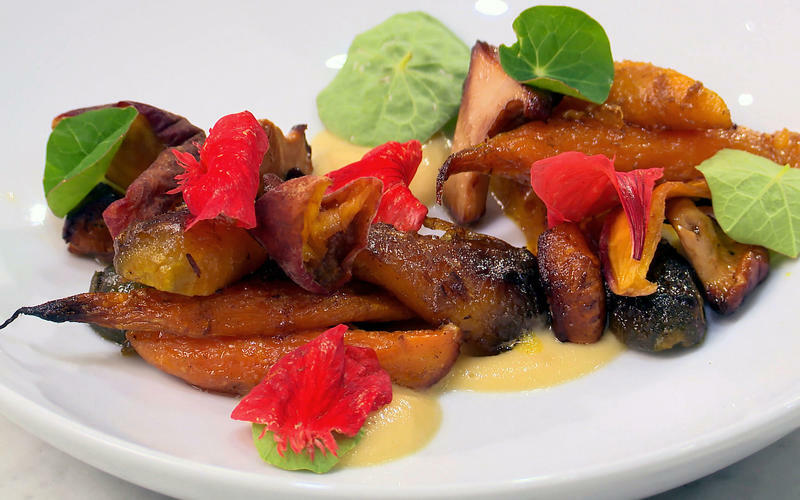 Carrots, chanterelles, peaches and vadouvan is the right choice that will satisfy all your claims.